The stuff that a CLAYER'S DREAMS are made of! BOTH sets of the Clay Punch Cutters™ is one package! 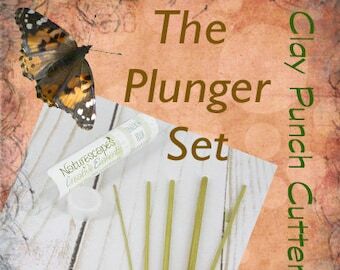 Gathered together in one listing, the original CLAY PUNCH CUTTERS™ deluxe set of brass hole punches and appliqué makers plus the essential plungers for the really small cutters AND the CPC™ SHAPES set of cutters to create miniature designs around all your clay surfaces! Don't forget that BOTH sets are super must have tools for your polymer MOKUME designing too! 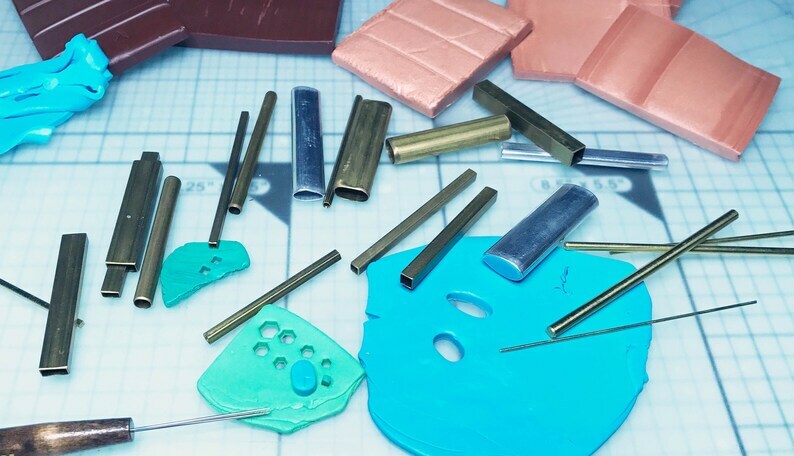 These tools are suitable for polymer clay, metal clay, and even fine ceramic clay. Over 50 pieces in this one package! This luxury set is made to last! CPC™ SHAPES is joining the family of Clay Punch Cutters™ providing an endless source of design inspiration for clay artisans everywhere! The COMPLETE 25 PIECE SET - ALL the shapes and sizes - will give you endless creative possibilities! HUNDREDS of design possibilities! Repeating one shape will make a nice edge design, but add in one of two of the other shapes and the possibilities are endless! However YOU CONTROL the size and placement of each impression. Unlike a roller tool or a edge stamp, you can mix the sizes and shapes to come up with your own signature pattern! Mix and match the shapes to create patterns and pictures in clay! MOKUME GANE just got more interesting! The 2" length enables you to push the shape design thru a 1 1/2" billet with control so that the pattern exists on the bottom as well as the top. The longer length gives you a grip so you can better control your impressions. The Collector's Box storage and travel case. >>BONUS! - Wrapped and ready for gift giving. ***Note: Although the ends are not razor sharp, use care when pushing any metal with a bare finger......cover your finger tip with jewelers tape to protect it if needed! The Deluxe Clayers Kit Clay Punch Cutters™ is the polymer clay and metal clay artists kit of 28 cutters, 5 pc Plungers, 3 pc travel tin set and Tin Topper Instructions all wrapped up in a gift for you! BONUS! 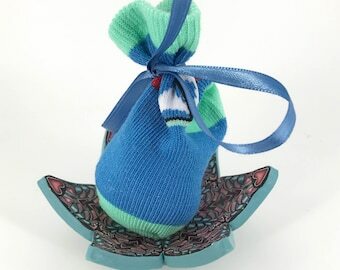 Gift wrapped for giving or getting! Note: Rectangle #3 will not fit into #4 in some sets. There is a noticeable different in the sizing although very small, but the minimal clearance on the brass keeps it from stacking like the other cutters. DO NOT FORCE IT!